Figueretas, Ibiza. 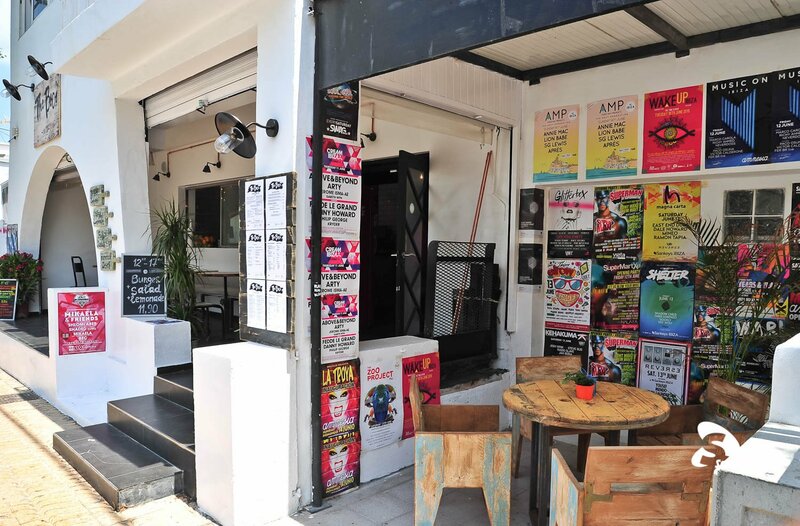 In between Ibiza and Playa d'en Bossa, The Booo is Ibiza's newest hotspot for the best burgers in town with a funky, shady patio in the backyard. Delivery service available. In between Ibiza and Playa d'en Bossa, The Booo is Ibiza's newest hotspot for the best burgers in town with a funky, shady patio in the backyard. Delivery service available. Nestled in the centre of Figueretas, the young creative team behind the restaurant aim to change the perception of fast food, determined to prove that burgers can be delicious, healthy and reasonably priced. Catering for all, the menu not only has burgers but also delicious salads and vegetarian options, try their home-made lemonade, a perfectly refreshing touch to your meal. The portions are generous, so go hungry! With an ultra cool crowd, it's a perfect pre-club feast. Call us on +34 661690434 or send a booking request below.